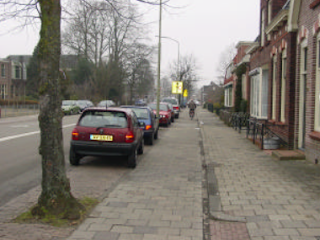 In 2007, when we moved to Assen, this road, Groningerstraat was being redeveloped. It is a popular route for cyclists as it provides the most direct route possible to the city centre from the North of the city. The road was dug up to a considerable depth, all the way from the front gardens on one side of the street to the front gardens on the opposite side of the street. Then everything in between was replaced. A complete new road was built for pedestrians, cyclists and drivers. While the road was dug up, the electricity, gas, telephone, sewage and other services were updated at the same time. This is the normal way of organising things in the Netherlands because it prevents wrecking the new surface in order to do maintenance. The new road was then constructed, including very much upgraded cycle facilities as you can see from these before and after photographs. The new cycle path is 2.5 m wide on each side of the road (each side is unidirectional), has a completely smooth surface (an upgrade from the old tiled surface) and provides much better segregation from motor vehicles. The cycle path has priority over every side road. We were surprised not only at the quality of this work, but also at the price. 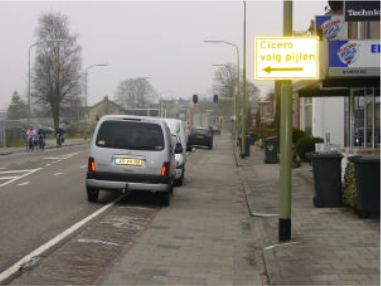 A budget document from the city shows that the cost of this work for a 0.4 km section (both sides of the road so 0.8 km of cycle path) was just €200K (see the item on the second page: "fietspaden langs Groningerstraat, tussen Thorbeckelaan en Kanaal, verbreding fietspaden naar ca 2,5 m, rood asfalteren, voorrang bij de kruispunten, € 200.000"). That compares very well with costings I've seen for cycle paths of a much lower quality in the UK. And not only is the amount taken from the cycling budget for this piece of work low by UK standards, but the total budget for cycling in the city is extraordinarily large by UK standards. The budget for the two years covered by that document is arranged under different headings. Each heading has its own budget. These come to a total of over € 5.7 M to be spent on cycling in Assen over the two years covered by the budget. That works out as a cycling budget of 43 euros per resident per year over these two years. The combination of low cost and high budget is what makes it possible to get things done so quickly. Some more photos. One extra "before" and three "after" photos. Note that there are children in several of the shots. It's quite normal here for children to travel right to the centre of the city on their own bikes. This is perhaps the ultimate expression of parents feeling confident in the safety of the cycling environment. This level of subjective safety is vital to achieve a high cycling rate including all demographic groups. Note also in this photo how on-road car parking was preserved for residents. It's important that residents concerns about car parking were also addressed when the new work was done. Not taking car of this can result in conflict between cyclists and residents, or cars being parked on the cycle path. Also you'll see how it's possible for friends to ride beside one another, and how everything is possible while motor vehicles are kept at a distance. The cycling rate in Assen is now 41% of all journeys. While it's not the highest rate in the Netherlands (Groningen has a higher cycling rate), that's still a higher rate than any city in other European countries. More journeys are made by bike here than are made by car. Infrastructure like this is has made this possible. I've featured this road twice on this blog as a comparison with Gilbert Road in Cambridge, a road near where we used to live in the UK, which is much the same width and had much the same budget for cycle infrastructure, but which received far inferior reconstruction for about the same price. It was also featured to show how secondary school children cycle along this street as part of their route to get to school from villages outside the city. Also see a newer blog post which illustrates why "dooring" is not a problem on this road. The explanatory captions on this video are only visible when you play it on a computer and not on a mobile device. The photos were taken on Saturday afternoon when there were quite a lot of people about. I made this video on Sunday morning when the shops were shut and very few people were doing anything. However, the video shows the infrastructure of the entire length of the new part of Groningerstraat. This quality of cycle path makes for efficient as well as safe cycling. The "before" photos come from an official document of the local government of Assen, and the bike that I rode to make the video is a Sinner Mango velomobile. Sometimes a really big link is required to make cycling convenient. This huge cycle bridge in Nijmegen is one of them, complete with escalators to help cyclists take a short cut. Note the width of the bridge. It is wide enough to prevent conflict between cyclists travelling in opposite directions. The bridge is known as the "snelbinder". This is a play on words. The elastic bungie straps that many Dutch people have to attach luggage to their bicycles racks are also called snelbinders, and the word suggests that it is something that provides a quick link. The main span is 235 metres long and the bridge reaches 26 metres in height. There is a wikimedia photo on the left showing the escalator for bicycles. Click for a larger version. There are also some more photos of the bridge here. Nijmegen is considered to be the oldest city in the Netherlands. The city has an urban population of 280000 people. I previously featured a video showing town centre cycle parking in Nijmegen. Nijmegen is also the location of the largest bicycle museum in the Netherlands. There are also escalators for bikes which run beside steps for people. However, the closest I've been able to find to a video showing these in use is this. I featured a few videos by Mark Wagenbuur of 's Hertogenbosch a few weeks back. Here's another one, showing another location in the city at rush hour. In this case, there is no real segregation of modes. However, cyclists so much outnumber drivers that the behaviour of drivers is kept in check. I've written before about how I dislike "Shared Space" in areas with much motor traffic. My objection still stands (and I still avoid riding through the shared space centre of Haren), but it's very different where the "balance of power" is different. If bikes outnumber cars then it can work with a fair degree of comfort and safety for cyclists. Back in the summer we visited the Delfsail event, at Delfzijl in the North of the Netherlands. It's a wonderful event, with sailing ships from all around the world. It wasn't a cycling event, and we travelled by train, so I didn't bother mentioning it on here. However, there was one thing which was particularly worthy of mention on this blog. Temporary guarded cycle parking ! The photo at the top shows the yellow van from where people were administering the parking while the other photo shows a wider view so you can get an idea of how many bikes were being fitted into the car park they'd taken over. Note also the number of bikes outside the park. As ever, there were thousands of bikes everywhere, and most were not parked inside the organised area. The Netherlands is soon to be the first place in Europe to tax people's use of cars rather than ownership. The expectation is that six to ten percent fewer car journeys will mean that traffic deaths will fall by about the same percentage, saving twenty to forty lives a year in the country which already has the world's safest roads. The scheme, called the "kilometerheffing" (simply "kilometer charge"), boils down to a GPS system in cars which will record how much they are driven, where and when. The intention is that driving on busy roads in the rush hour will cost more than driving on less busy roads at other times. It is intended to be a revenue neutral change to the tax on motorists, so that 60% of drivers will see their costs drop. Of course, if people drive less, the overall amount of tax paid to the government by drivers will drop. The proposal is nevertheless a bit controversial with some drivers, especially those who drive long distances at present. There are also advantages in reduction of traffic jams and CO2 emissions. Car ownership in the Netherlands is already lower than it might have been due to policies which make alternatives more attractive. It's difficult to know whether this will result in more or fewer people owning cars, but it should certainly help to increase the cycling rate in what is already the world's top cycling nation. The Fietsberaad expect cycle usage to grow by 10% due to the kilometerheffing. It didn't pass. 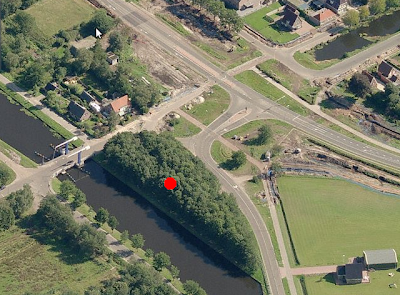 The Netherlands is still waiting or the kilometerheffing. However, so far as cycling is concerned, carrots are more important than sticks. 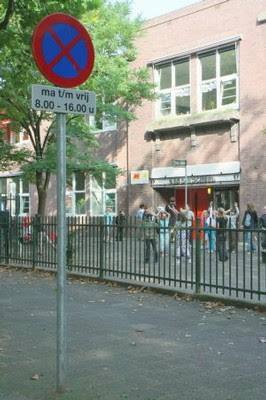 Groningen has recently implemented a stopping ban by many of its primary schools. This is to spread to cover all schools in the city within a two and half years and will be rolled out as the safety of home-school routes is enhanced. This means it is now illegal to stop with a car adjacent to the schools between 8 am and 4 pm on week days. i.e. No children may be taken to school by car. By British or American standards, the rate of children being taken to school by car is already extremely low. Just try to spot any children being taken to school by car in this video shot at a local primary school. Of course, a good idea like this won't just stay in one place. It's also spreading to other towns within the Netherlands. Perhaps it can also spread outside this country ? It is vitally important for cycle campaigners to campaign for children. Today's children are tomorrow's cyclists - or perhaps not if the infrastructure isn't good enough and streets are so subjectively unsafe that parents won't let their children cycle. Like most countries outside the Netherlands, Britain could do with trying this. Here's the scene that we saw every day outside Mayfield primary school which my children attended in Cambridge. Virtually all the cars in the picture have brought a child to school. Even the car in the middle of this road junction is parked, as is the one in front of it which is obstructing the dropped kerb. not be dominated by cars. When "everyone else is doing it", there is no legal enforcement against illegal parking, and there are generally no really safe ways of getting to the schools by bike, is it such a surprise that parents see driving their children as the only safe option ? But before a ban can be successful there needs to be a proper alternative provided. There needs to be proper safe cycling routes to schools so that it is possible for children to cycle alone or with their parents. Update 24/2/2010 Mayfield primary school in Cambridge, the school next to which the photo just above was taken, has now decided to campaign against a ban on parking in a cycle lane on a road a few hundred metres from the school on the grounds of "concerns about where parents will leave their cars when they drop off and collect their children". They are prioritizing parents' cars over the safety of children who might cycle, even on roads at a considerable distance from the school. Update 2011 Despite the school, and others, protesting against them, the very timid proposal of slightly widening cycle lanes on one road in Cambridge did go through - but what they did was to a much lower standard than it should and could have been. Note that this doesn't change the situation on the road which the school itself is one, as that's in a different road. Similar scenes to those in my photos continue at that school and many others in the UK, and other countries. 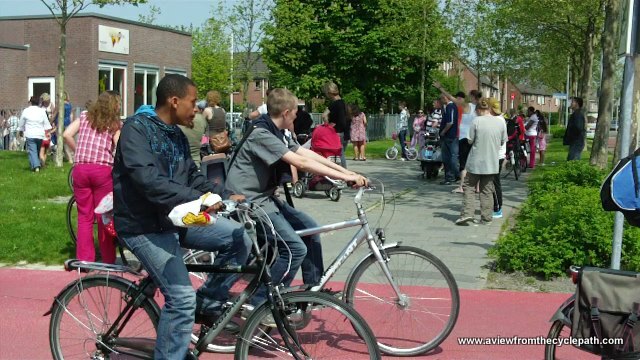 Parents waiting outside a Groningen primary school for younger children as older children ride by. On a study tour in June we saw a parent stop her car at this school illegally. Other parents were shocked and deliberately blocked her way. After driving her car home, the driver caught up with us by bike to explain, apologise and ask me not to report her to the police. As it happens, this driver really did have a good reason to do the wrong thing on this occasion. It was never my intention to cause her a problem, but this demonstrates how great the social pressure on parents not to drive to school is in Groningen. There are more posts about school travel, including videos and photos of schools and children on bikes. Also see posts about the problems facing British children vs, the joy of being a Dutch child. This video shows a location very near our home. Cyclists completely separated from motor traffic. It's not an aberration, but something quite common. It is possible to cycle here and barely see cars. Cars are mostly elsewhere. The cycle routes you see in this video have few cars for several reasons. Some are cycle paths along which cars are not allowed. Others are roads open to all, but along which there is no destination for drivers, so they are not at all useful as a through road by car. No road sign will tell a driver that these small roads are route. They are directed onto the main road that you also see in the video. What's more, rat-running doesn't work here. Those roads which have been prioritised for cyclists really don't make a useful alternative for drivers. This location looked quite different three years ago. The motivation for this transformation was to make sure that there was a direct and easy route to the city centre from a new housing estate on the western side of the city. The blue bridge carrying the cars over the cycle path was built to give cyclists a direct route without any stops and with maximum social safety. This change was amongst those which helped the city to raise its cycling rate from around 37% to the new figure of 41% of all journeys by bike. The photo is from Microsoft Bing Maps birds eye view. I would have embedded it if I could work out how (it's much easier with Google Maps...). A video view of the entire bicycle road route between the city centre and the new housing development is in another blog post. There is also another view from this hill. Here in the Netherlands, low powered motorbikes called bromfietsen are allowed to use rural cycle paths. These include many of the cycle paths on which I commute. In the middle of the countryside they're allowed, while at each village along the way they are sent back onto the road. These things can be a minor irritation, but it's actually quite advantageous to faster cyclists that these bikes also use the cycle paths. It means that the cycle paths have to be designed to be suitable for speeds of 45 km/h - the legal limit for these bikes. May 2011 update. Amusingly, the Guardian (who normally ignore me) linked to this post and seem to have taken it a bit out of context. There is really no similarity at all between the wide rural cycle path separate from the road which I show in this post and urban on-road cycle lanes in the UK. "Brommers" limited to 45 km/h are also rather different to "motorbikes" in the UK. I should also point out that here in the Netherlands, these brommers are a nuisance sometimes, when ridden irresponsibly in the wrong place at the wrong time. . However, they're not really a major hazard. This is also covered on this blog. Lastly, people cycle in the Netherlands far more than in any other country. If you want to know what makes this possible, click here. For a list of reasons why you might think it's impossible for this to happen in the UK, and why they are wrong, click here. There are also posts about The Guardian, which often looks in the wrong direction where cycling is concerned. Another of Mark Wagenbuur's lovely videos, showing typical scenes as in every Dutch city at this time of year. He says: "The Dutch keep on cycling in fall. Even in rain, wind and early darkness they just keep on doing what they do all year long. Roads are swept clear of slippery leaves and umbrellas and special rain-suits keep the cyclists dry." Is it too late to start providing for cyclists ? Are the Dutch "too far ahead" ? Note that the video starts by quoting many of the myths that have built up around cycling in the Netherlands. Many Dutch people believe the same myths about this country as do foreigners and it's important to try to learn the correct lessons when trying to emulate Dutch success. Twenty years ago (1990) this video was produced by the Dutch Ministry of Transport and Public Works to show what cycling was like then in the Netherlands, and how the potential for the bicycle could be further developed. 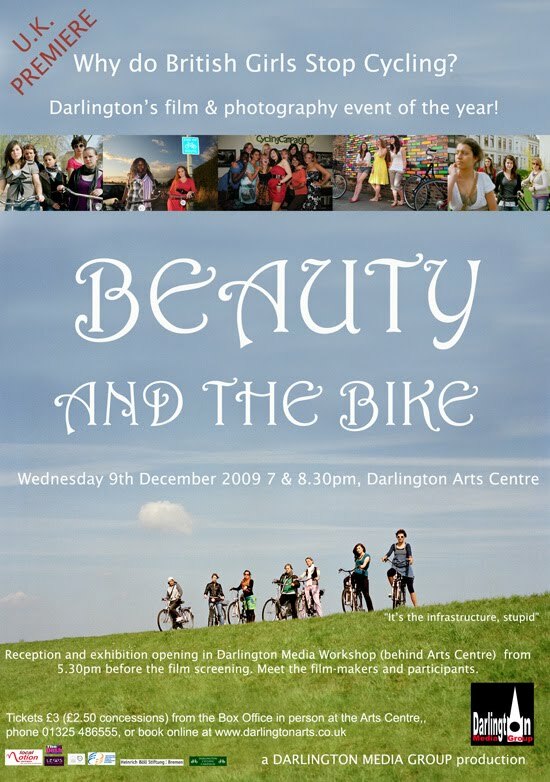 Just seventeen years elapsed between 1973 when a campaign about child safety lead to protests and cycling infrastructure getting heavy investment in the Netherlands and 1990 when this film was made. I'm regularly given the excuse that the Dutch are so far ahead because they started sooner, so there's no chance to "catch up". I've heard this excuse used for at least twenty years - enough time for infrastructure as seen in the video to already have been built. It's never too late to stop making excuses and to start working on proper infrastructure which is convenient, pleasant and safe for cyclists. There are many excuses used for low investment in cycling and low cycling rates in other countries. I'm working through them one by one. I've pointed out before that I'm a skeptic about the potential for bike share schemes because the numbers just don't add up to a significant culture of cycling. I also rarely post about helmets, as I see them more as a symptom of a problem, primarily that there is inadequate subjective safety which causes people to see a need for safety equipment. However, Mike Rubbo's latest blog post and film, makes an excellent point that compulsory helmets and bike share are fundamentally incompatible. Neither can exist with the other. Incidentally, we had a film crew here in Assen yesterday who only after the shoot realised that they'd not worn a helmet as they would have in the UK. It just doesn't feel necessary to wear one in somewhere like Assen. 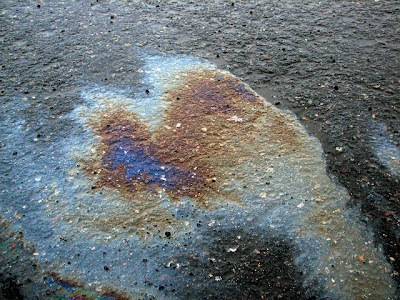 A cyclist in the UK was recently awarded £2000 compensation after falling on spilt oil on the road. Many cyclists have had the experience of slipping on oil in the past. 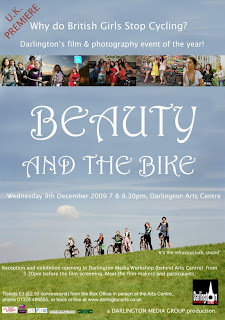 I have myself, when I cycled in the UK. I commuted past bus routes, and once very close to a bus garage. Diesel on the roads was commonplace in some of these places and I fell several times due to it, luckily never with any real injuries, but it did cause damage to the bike and my clothing. One of the many small advantages of living in a place where there are comprehensive and useful cycle paths is that as oil spills from cars are on the roads and not on the cycle paths, you don't slip on oil and diesel. Since living here I've not slipped once. I don't get the opportunity to take photos of oil slicks, so used one from flickr. Another of Mark's videos, this time showing before and after views of the centre of 's-Hertogenbosch. Note how the city was once peaceful, how it became clogged with motor vehicles in the mid twentieth century, but how a second revolution returned the city to its people. This type of transformation has been seen in cities all across the Netherlands. The car dominated spaces of the 1960s and 1970s are now pleasant places to be. Assen had a similar transformation, and perhaps most famously, so did Groningen. Click here for more videos and photos showing how the Netherlands changed its streets twice in the 20th century. Back in 1995, when I was 29, I lived in the village of Melbourn in Cambridgeshire and worked for a computer company on the Cambridge Science Park. The route was 13 miles ( 21 km ) long and typically it would take 50 - 55 minutes for me to cycle to work. The route was mainly along the busy and unpleasant A10. There was a shared use path alongside, but as is normal in the UK this was a bad joke, it had never been more than 60 cm or so wide, was overgrown with, and grown through by, weeds, often blocked, and it gave way to every possible side road. As is normal in the UK, I generally stuck to the road despite the 60 mph / 100 km/h speed limit. I also had to stop for a lot of traffic lights and negotiate some large roundabouts in order to get to work, so my average speed of 14 - 15 mph ( 22 km/h ) was actually not that bad under the circumstances. My current commute is from Assen to Groningen. It's a distance of 30 km ( 18.6 miles ). 40% longer than the old commute. The quality of the route here makes a huge difference. Roughly 28 km of my 30 kms are on cycle paths, and they're wonderful. The surface is (mostly) miraculously smooth, roads give way to the cycle path where they cross and I rarely have to stop. There is only one set of traffic lights on my entire route, and it defaults to green for bikes. On average I stop about once per commute. Often I don't stop at all for the whole distance. My commute time is if anything slightly less now than it was back in 1995. It took under 50 minutes both ways on Thursday and Friday, an average of 36 km/h or 22 mph. Today I worked an extra day for the test ride day, and took it easy coming home. This resulted in a 55 minute ride home. the locations that we visit. Being 43 years old instead of 29 surely ought to count against me, but there's no doubt that I'm commuting somewhat faster now than I used to. Of course, it does help to have a somewhat quicker bike, but it would be a fair bit faster here on any bike. A lot of the difference is due to being able to get up to speed and keep it. Cyclists benefit enormously from cycle routes being unravelled from driving routes so that hold-ups caused by motor vehicles don't affect bikes. Longer distance cycle commuting is so much more practical here than in the UK, so it's hardly surprising that long distance commuting by bike is also so much more popular here than in the UK. While in Britain less than 1% of all journeys of any length are by bicycle and most of those cycle journeys are very short, the Dutch cycle 15% of their journeys between 7.5 km and 15 km and 3% of their journeys over 15 km. 3% may not sound like much, but this is a measure of long journeys only, excluding the more popular short journeys. Update 2014: This video shows the first 10 km of my old commuting route, a Fietsroute+ which goes between Assen and Groningen. It's already excellent, but in our recent local elections there were calls for this to be upgraded to make journeys by bike even more convenient. A network of long distance, direct and convenient cycle-paths designed to enable long distance cycle commuting are currently being constructed (called "fietsrouteplus" and "fietsnelwegen"). Read other posts about cycling quickly in the Netherlands.